I considered another Bimaa for my girls- they usually get all the fun prints that I don’t think I can wear. 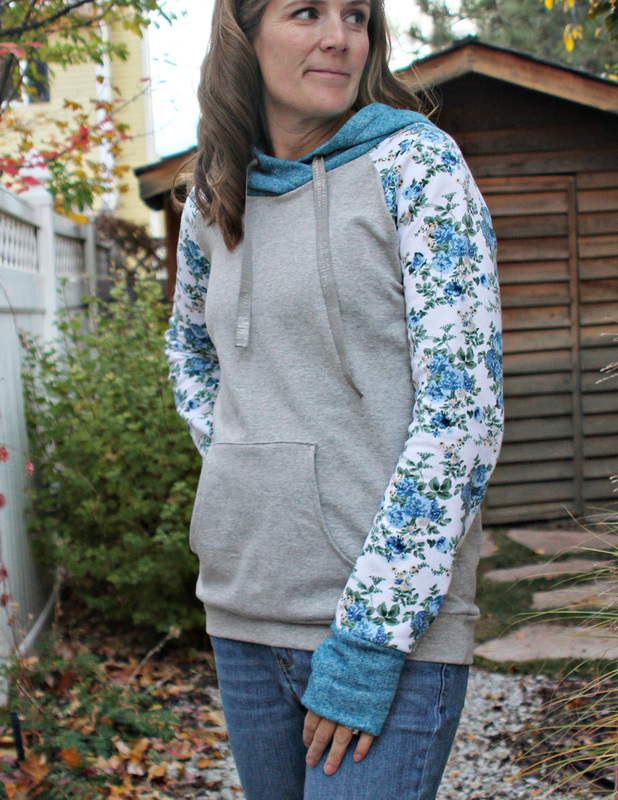 Then I found a simple sweatshirt on Pinterest that used a solid as the main body and even had contrast cuffs and hood. Perfect compromise! 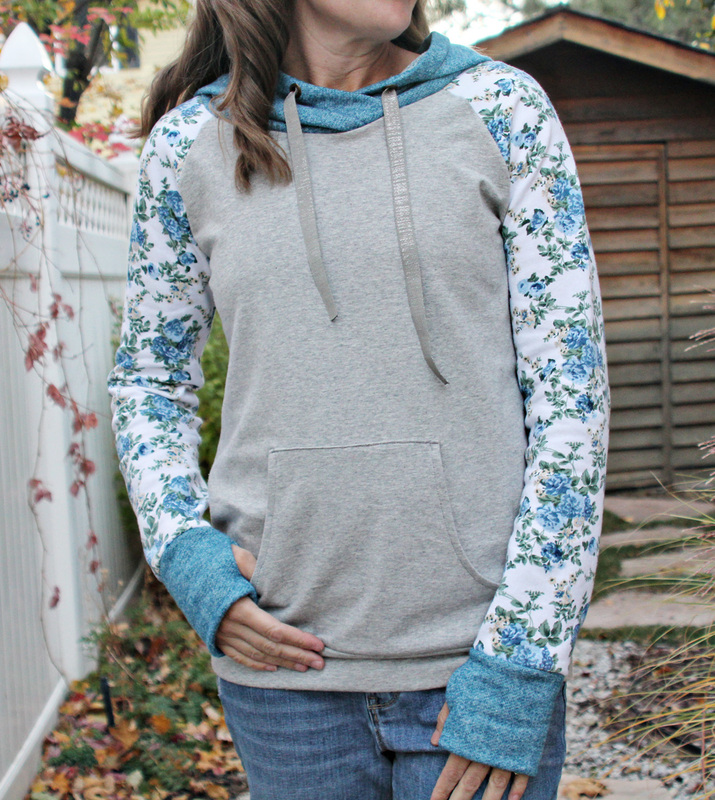 I used the Lane Raglan from Hey June (yet again). This was my first time using the thumb hole cuffs and I love them! 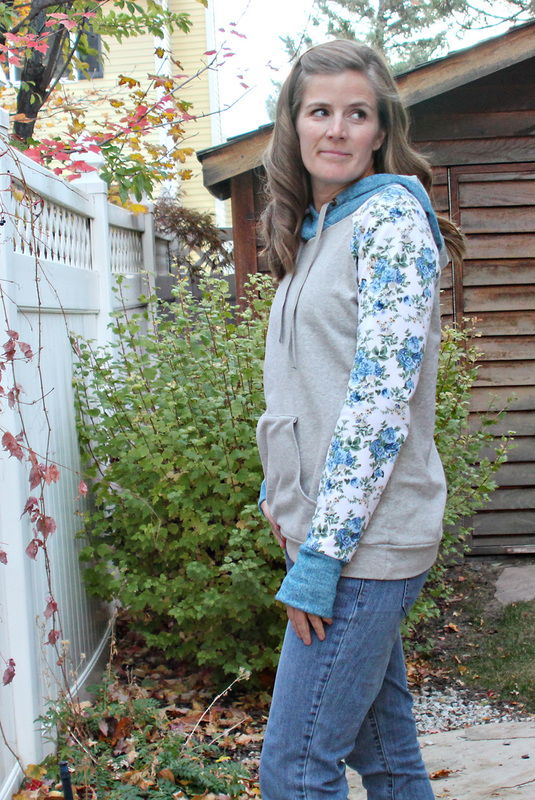 I sized up a size since the floral has very little stretch. I also added the kangaroo pocket from the Halifax Hoodie. 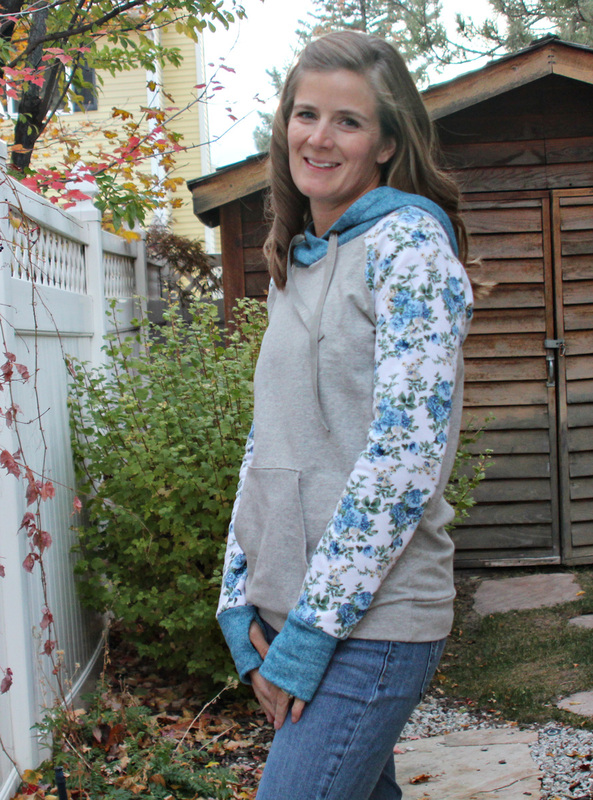 The result- another one of those sweatshirts that I never want to take off!